A group of Motocross bikers members stopped by our September Fly-in breakfast, all part of their cross-country travels. We were happy to have them join us for a hot breakfast on the unseasonably cool, late-summer morning! 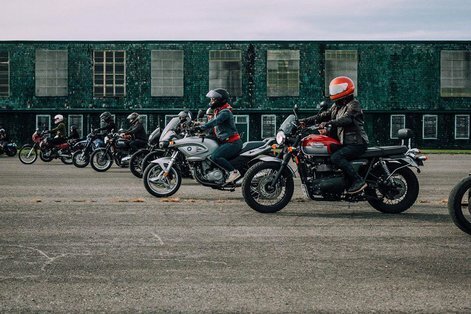 The MotoSocial is a friendly, welcoming monthly community event that offers motorcycle enthusiasts a host of activities in which to meet and socialize. 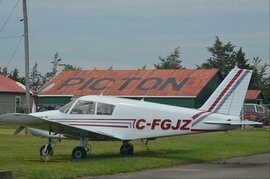 Picton Airport was one of their destinations in early September. 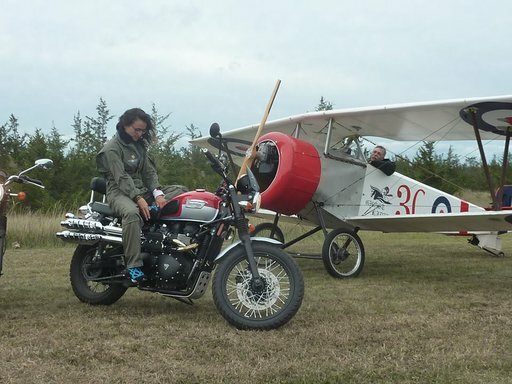 Bike and Airplane - great pic! Dave chats with two MotoSocial guests. 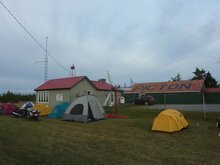 Tent City at the Picton Airport. 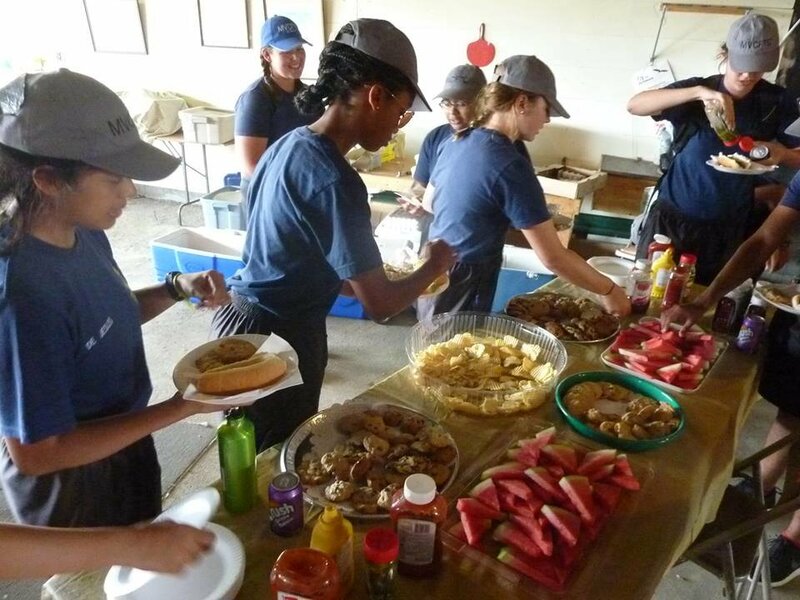 2018: Highlights of our ever-popular Air Cadet lunch. 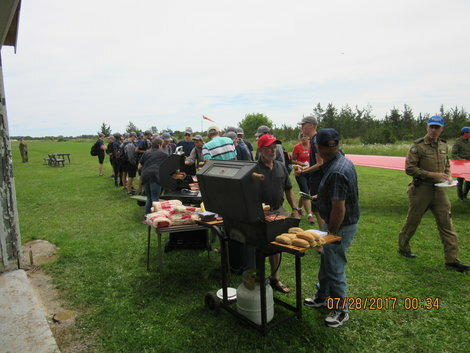 2017: Who would think that feeding hot dogs, chips, pop and cookies to hungry cadets could be such a winning combination! It certainly was a big hit as the Club and Loch Sloy hosted the 2017 crew of budding pilots. 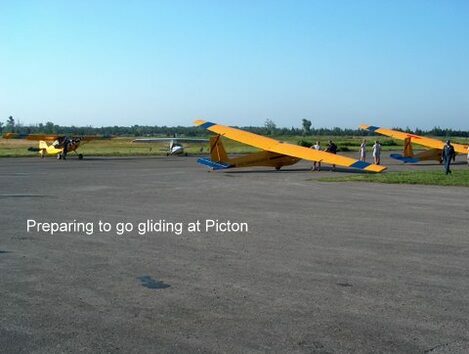 A fun event to a very appreciative group of young aviation enthusiasts. Here's a few shots of our 2017 event. 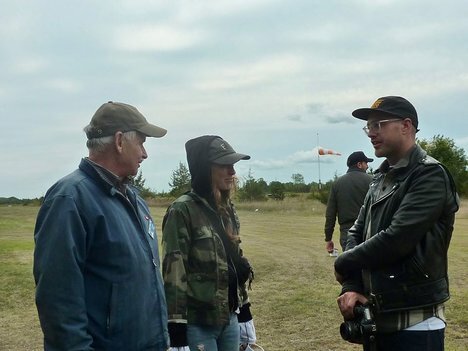 While this year's fly-in served up some fairly breezy conditions, and a chancy forecast for the afternoon, we were more than happy to welcome 100+ members and visitors. 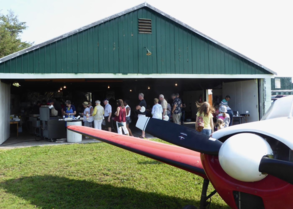 In 2016, the ever-popular COPA 53 Father's Day Breakfast Fly-in drew a great crowd, and we served 200+ breakfasts to pilots, passengers, other guests, and Club members. Here are few photos of the June 19th event! Breakfast diners prepare to submit their orders! A happy Jeff Douglass on his quad! Be sure to click here for more snapshots of the 2016 Fly-in. You can't beat good friends and good food on a cool fall evening. That's exactly what was on the menu when 17 Club members got together on November 14, 2015 for a Pot Luck dinner in the Clubhouse. 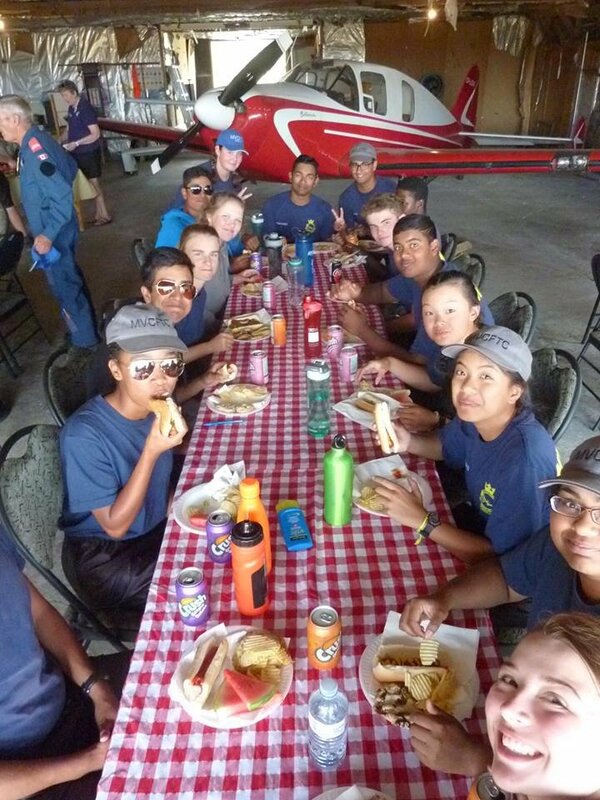 From meatballs, chicken and chili, to desserts of all kinds to tempt both the palette and our stomachs, it was a wonderful way to celebrate the end of a great season of flying. Many Club members have made plans to head south for the winter and we wish them safe travels. In the meantime, here are a few pics to share. Thanks go to Jackie and Jeff Douglass for their help in organizing the dinner, and setting up the tables and chairs. Thank you to Lorraine Willson for the mini Christmas-themed table decorations. 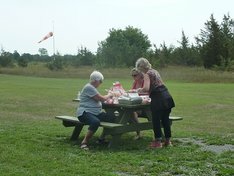 A great day of looking at history, with members and visitors alike enjoying a summer visit by Vintage Wings Canada and their WWII aircraft. Check out the coverage from CountyLive.ca. 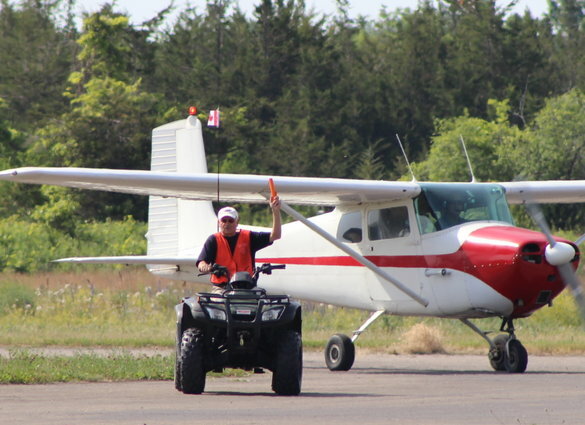 There was a slight twist to this year's COPA 53 Father's Day Breakfast Fly-in. It was held a week early! Due to some scheduling challenges and runway closures, our Father's Day event was pushed up to June 14th. 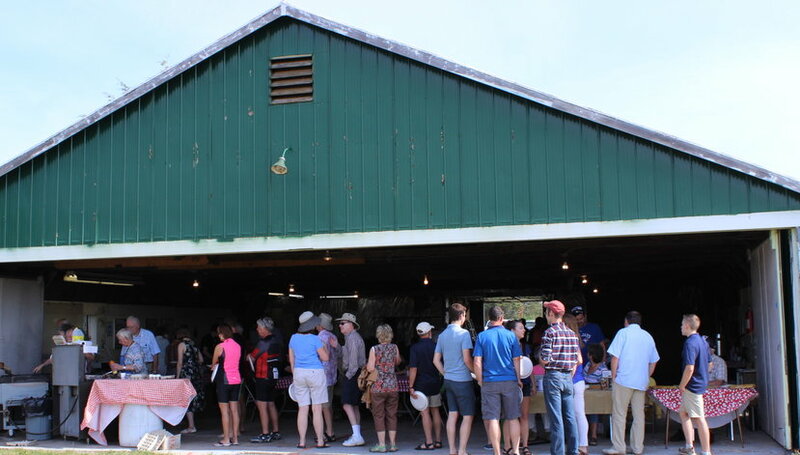 However, the weather was clearly on our side as we served up more than 100 breakfasts. Thank you to all pilots and passengers for attending, and a special shout-out to our members for your help and support. 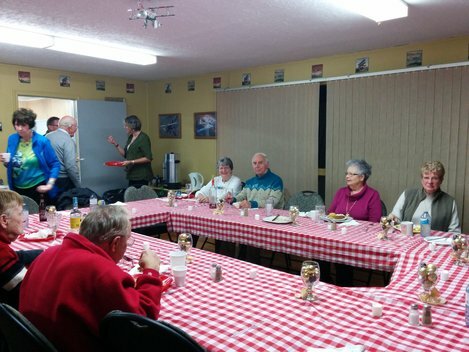 Other events such as monthly Fly-in Breakfasts give Club members and guests a chance to regularly socialize and meet other pilots. 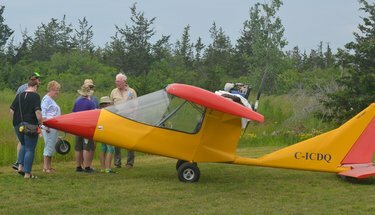 Our annual June COPA Flight 53 Fly-in is always a well-attended event. Same goes for the Canada Day pot luck dinner. Our Flying Club's COPA 53 Fly-in Breakfasts are held the second Sunday of every month from 8 to 10:30 a.m from April through to November. 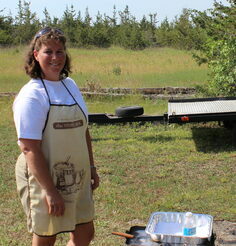 For more details on Club activities, contact Jackie Douglass: jdouglass@kos.net. Check out our COPA for Kids page for highlights of this annual event. 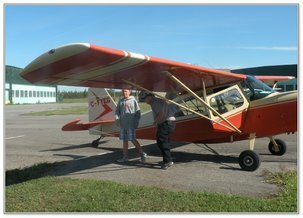 The program is designed to help encourage young people to explore the wonderful world of aviation. 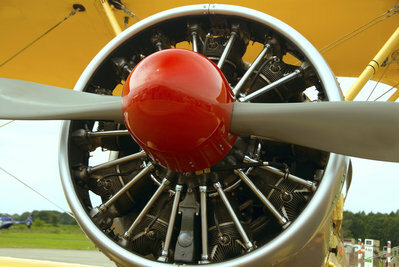 Learn about other aviation-related activities. Check out Social Flight and download the app! 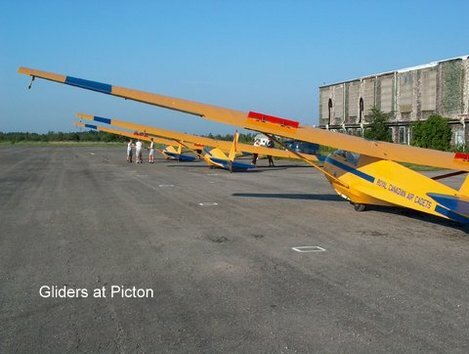 In early October 2015, Club members gathered at Picton Airport for a wonderful evening event that began with a walk back in time. 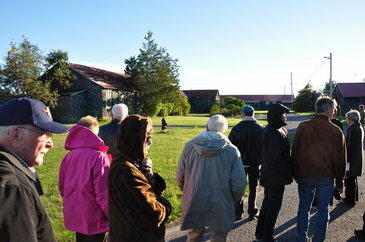 A group of about 35 of us toured the grounds with our personal guide, Mary Rae Main, who recounted life during WW II when Picton Airport operated under the British Commonwealth Air Training Plan. If only those buildings could talk, what stories they'd tell us! But thanks to Mary Rae, we had the opportunity to learn about the facilities and their uses. If we listened carefully, we could almost hear the bugle sound the Reveille as it awakened the thousands of solders stationed there. 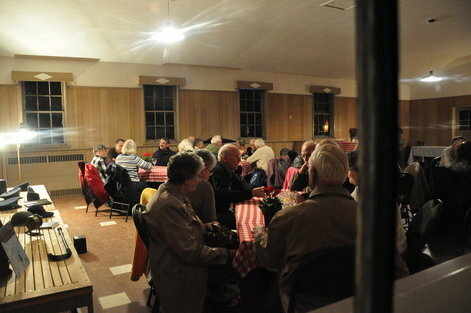 After our tour, we headed to the old Mess Hall for a delicious catered dinner. This truly lovely evening was the result of the efforts of Mary Rae, Jackie Douglass and other members who helped plan and set up the Sergeants Mess for our event. 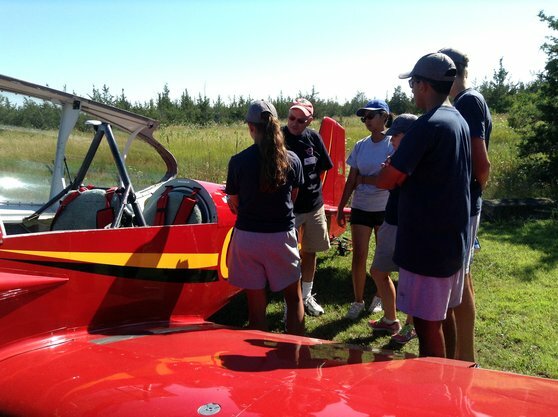 The Flying Club is a strong supporter of the Air Cadets. 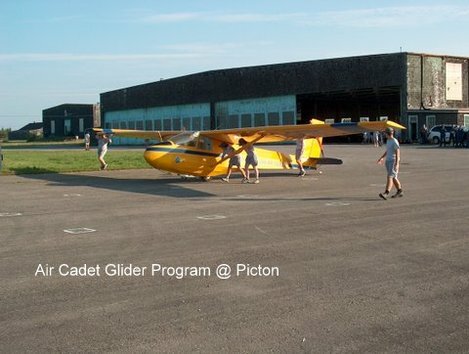 Every year, the young people take part in the Air Cadet Summer Training Program at Picton Airport. Naturally, we don't miss the opportunity to connect with the Cadets to chat about our planes and the joy of flying.